New For 1966:The Private World Of Thunderbird. 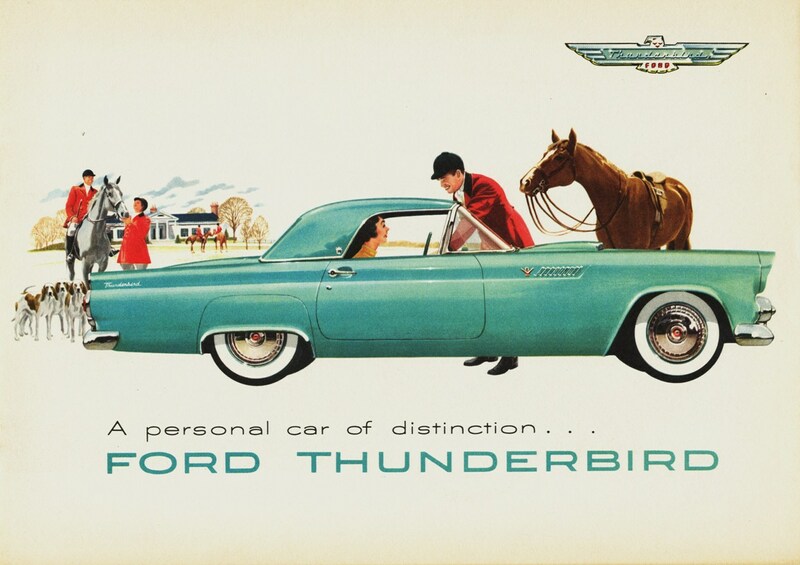 After of the Mustang, Thunderbird is probably the most iconic Ford model nameplate of the last 50 years. From 1955 through 1966, it was indeed " Unique In All The World." 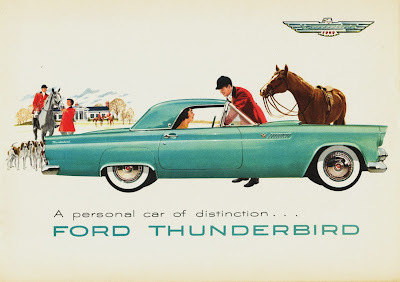 Introduced in 1955 as a two-seater to compete against Chevrolet's Corvette, product planners in Dearborn reasoned that by adding room for two more passengers, they could increase sales...and they were right. 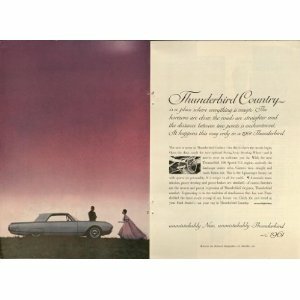 So out went the sport and in came the luxury, with a 2 seater T-Bird not to return until 2001. The second generation know as the " Squarebird " ran from 1958 thru 1960, followed by the Space Age influenced "Bullet Bird" from 1961 to 1963. These two 4 passenger TBirds created a new class of automobile: The premium personal luxury coupe and convertible. 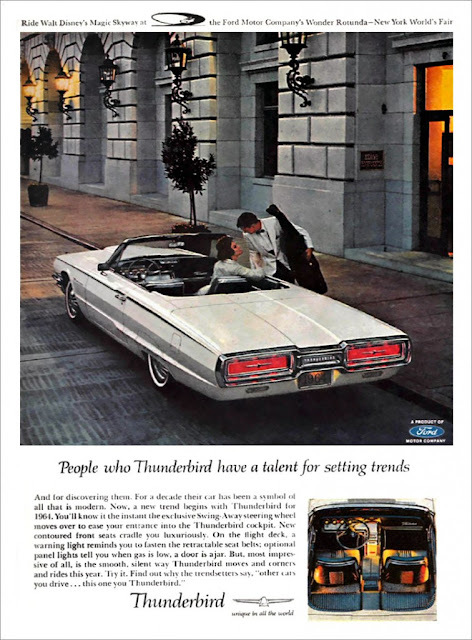 Thunderbird for 1964 offered a hardtop coupe, vinyl topped Landau as well as a soft-top convertible that retracted into the trunk, similar to the mechanism used by the iconic Lincoln Continental. 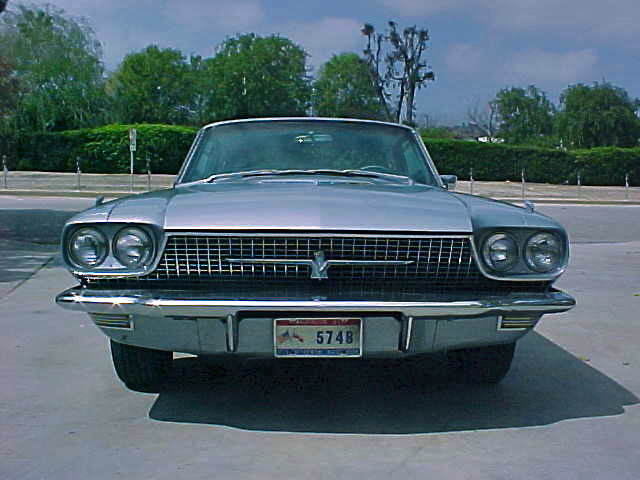 For 1965 there were minor changes to the front fascia and forward-canted side trim behind the front wheel wheel. 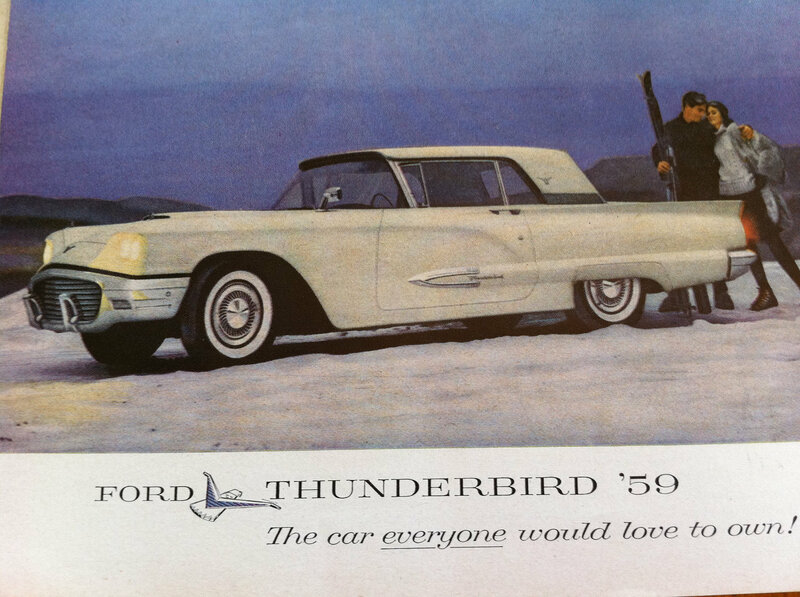 1966 would be the final production year for the model, and what many orthodox collectors believe to be the final collectible Thunderbird. 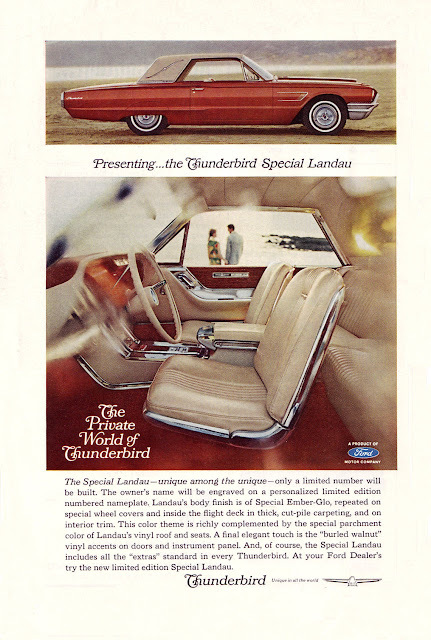 Four Models were offered: A base hardtop with four side windows, a convertible, a Landau with an enlarged c pillar, featuring a vinyl top in an alligator grain with a sweeping "S" bar and simulated wood dash trim; the Town Coupe which was basically a toned-down Landau without the c-pillar adornment and usually without a vinyl roof with brushed stainless dash trim. 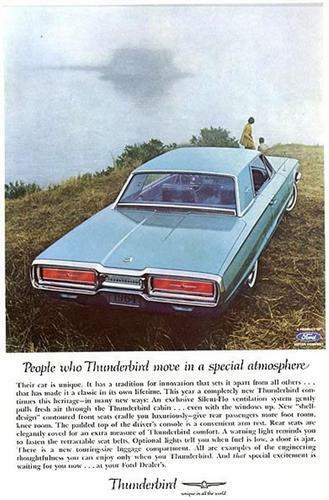 Exterior Styling changes were received warmly and many consider 1966 as the best looking of the three-year run. 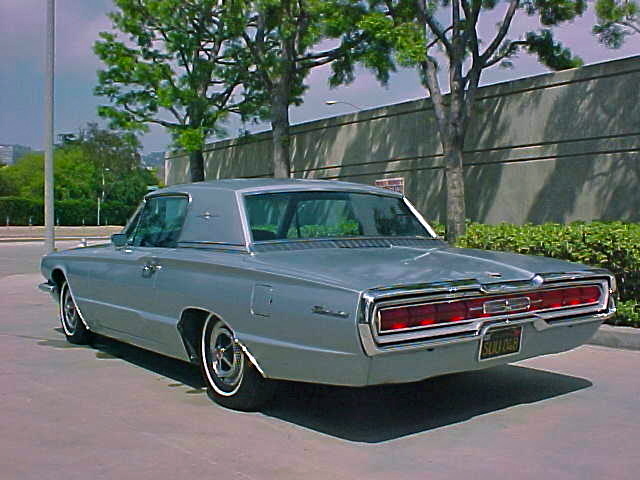 New was a singular taillight lens running the width of the entire car, complete with the sequential turn signal system introduced in '64. 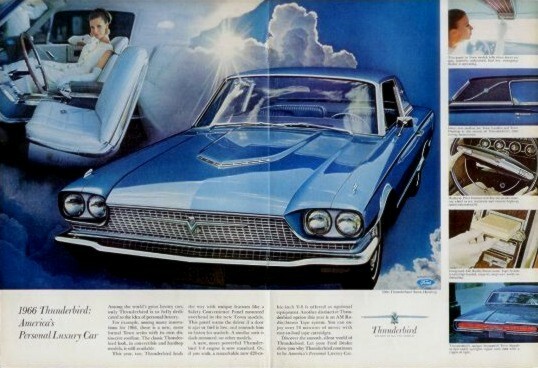 The 1966 egg crate grille prominently featured a turquoise embedded Thunderbird; the quad headlights were now surrounded by a ribbed chrome insert. 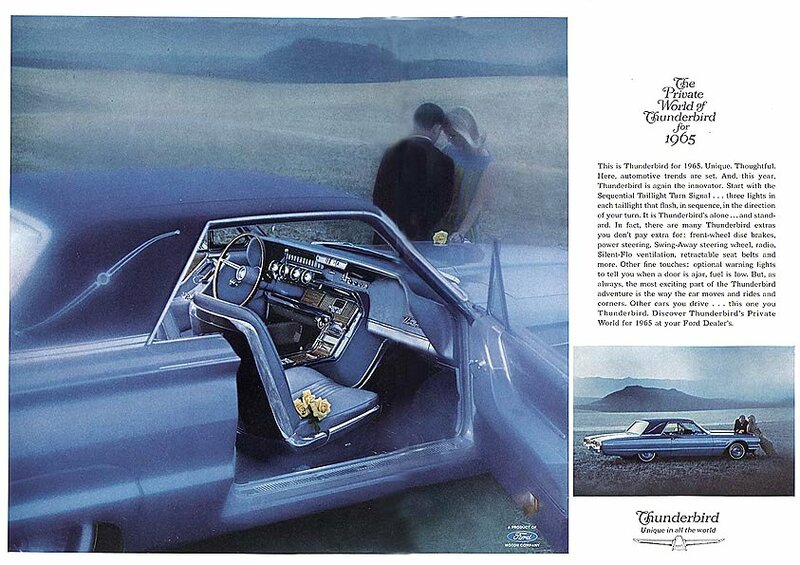 enlarged c-pillars allowing owners to " Experience The Private World Of Thunderbird." 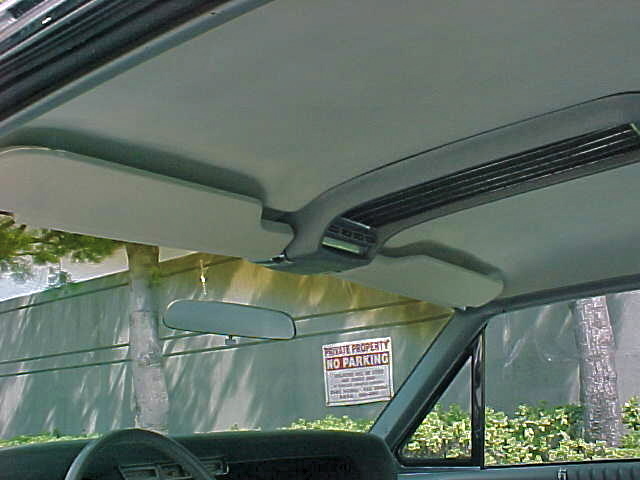 out beyond this slab of sheet metal, making lane changing challenging and putting the passenger side mirror to good use. 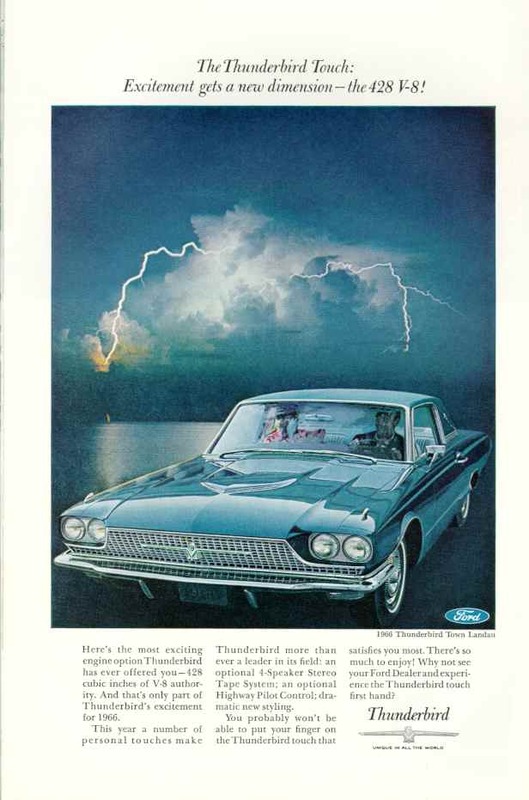 the gauges for gas, oil pressure, temperature and battery charging. 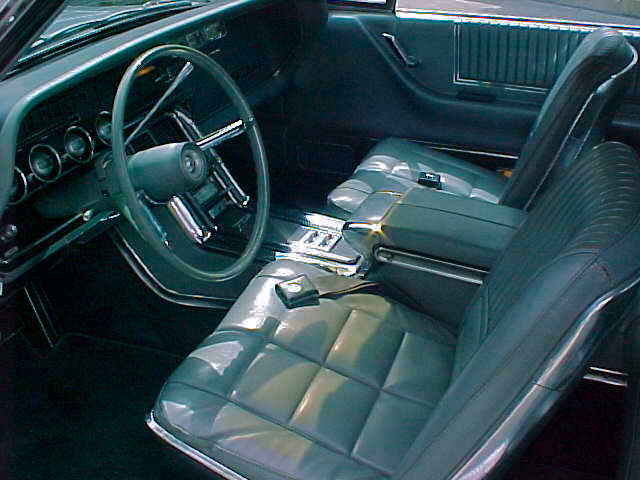 An overhead "Check Console" alerted the driver to Low Gas, Seat Belts, Emergency Brake and Door Ajar. 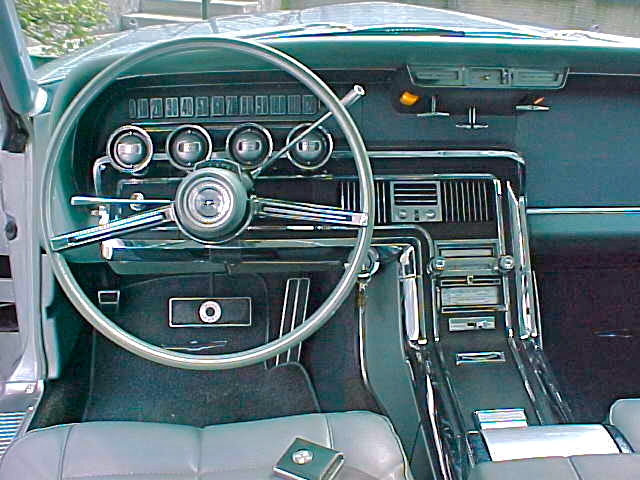 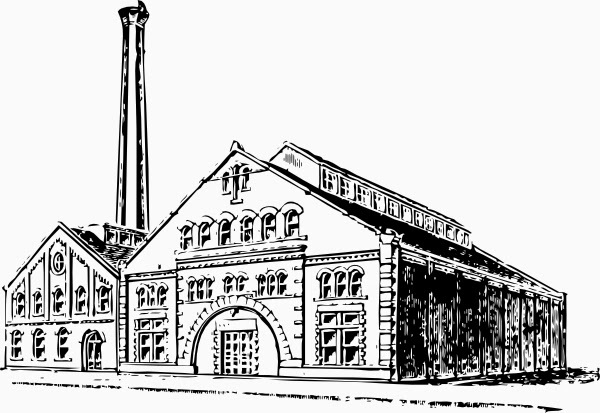 The electric window option included power vent windows. Shown here from top to bottom: Hardtop, Landau and Town Coupe for 1966. 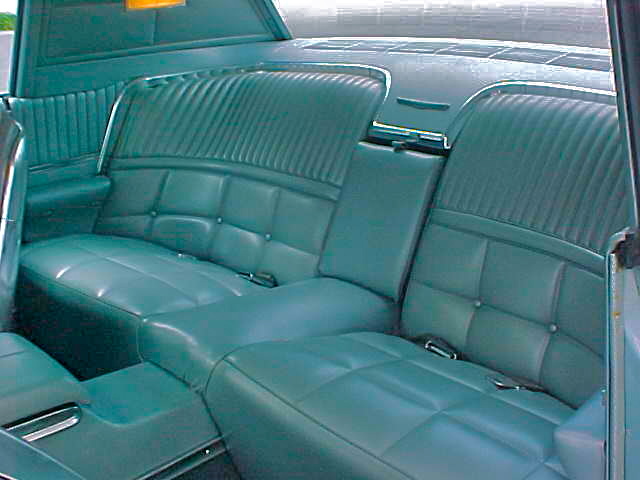 Rear passengers in "The Private World" relaxed in richly upholstered wraparound seating reminiscent of a rat pack cocktail lounge. 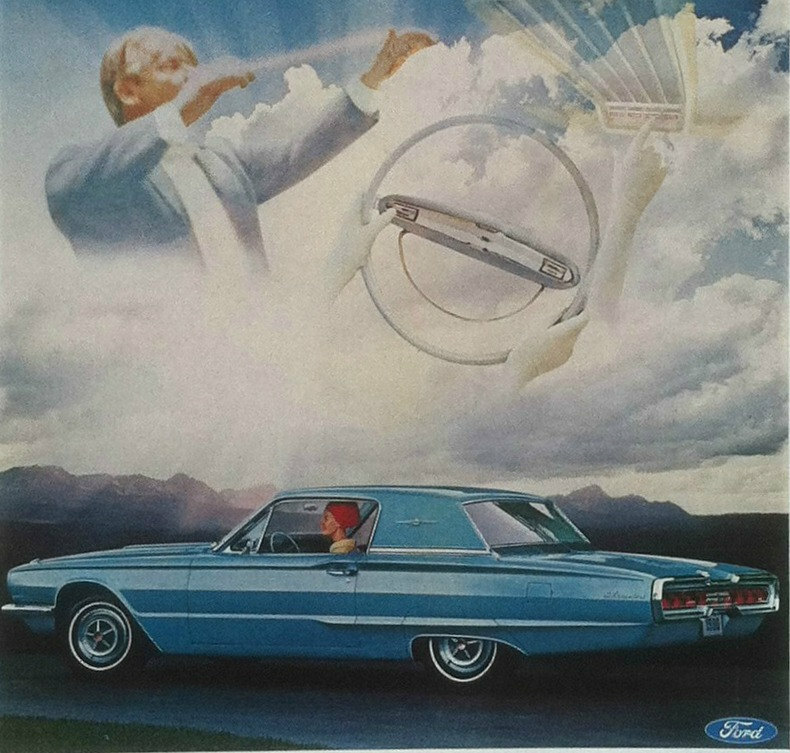 Reading lights were provided as was an ashtray. 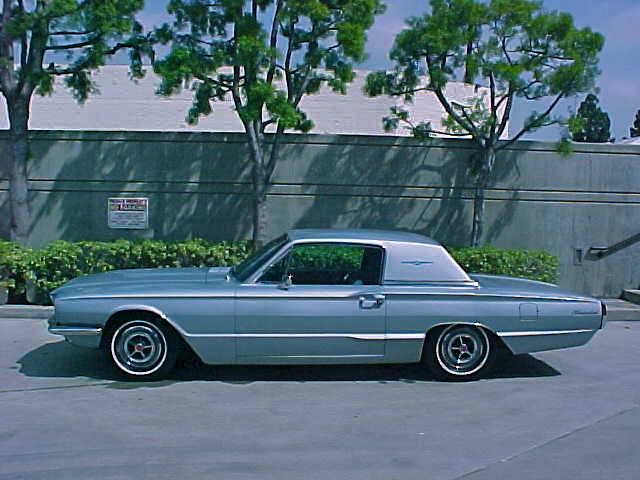 This 3 owner 65,000 mile 1966 Thunderbird Town Coupe was finished in a beautiful Silver Mink Metallic with matching interior. 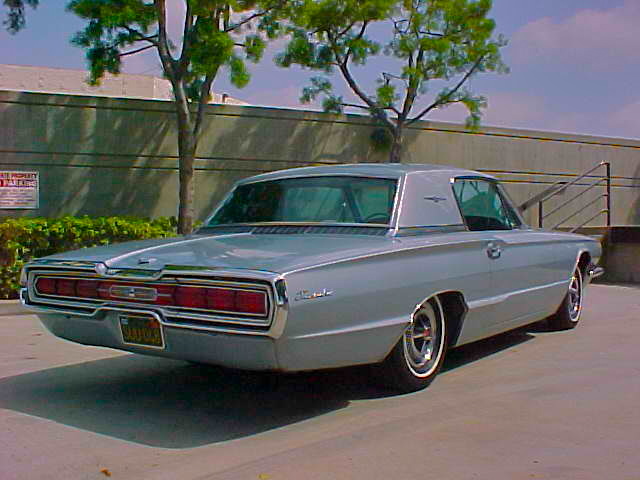 In person, it was a pale aqua and quite stunning. 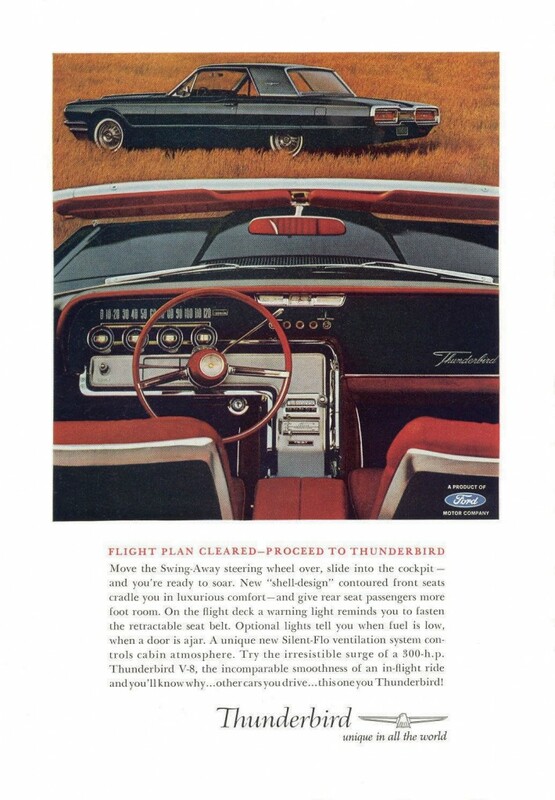 Fully optioned with air conditioning, 6 way power driver's seat, electric side and vent windows, the rare five-spoke star hubcaps, fender skirts ( not shown) ,tinted glass, am/fm radio with front and rear speakers. 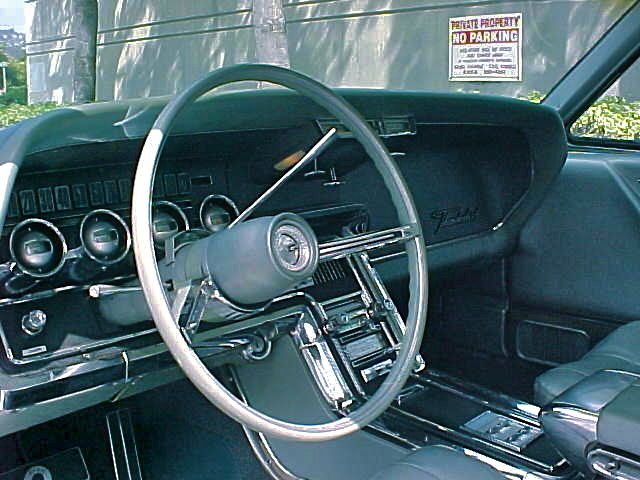 Standard equipment included the console, thin shell bucket seats and hood mounted turn indicators. The trunk was fully upholstered in a plaid vinyl with match spare tire cover. 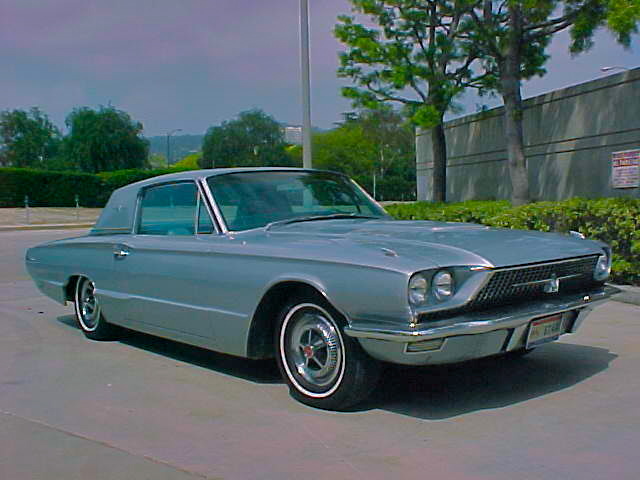 Sold in 2001 to a new owner in San Francisco. 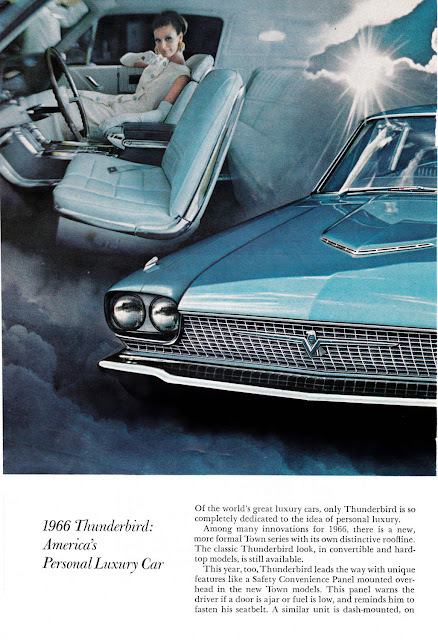 the door panels which are formed as one piece and easily crack from the stress of closing from the poorly-engineered pull handle. 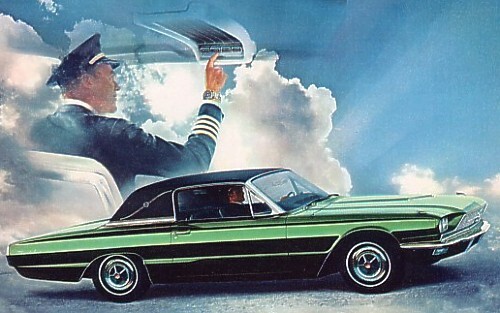 Important: The power door locks, air conditioning, remote trunk release and wipers are all vacuum operated - so one leak can crash them all....make sure to check these and listen for any hint of a hissing sound when the engine is on. 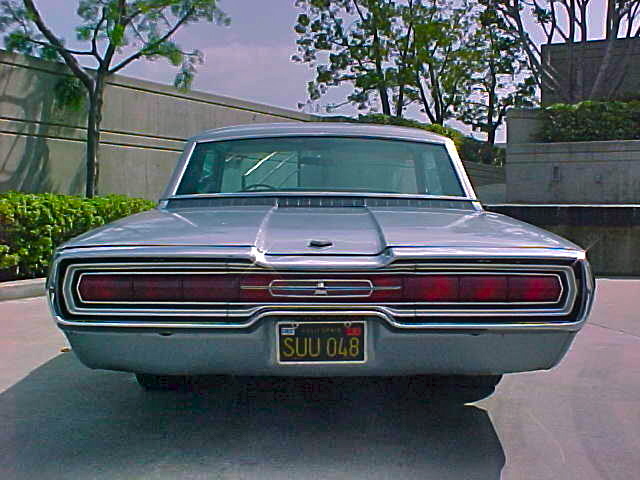 The sequential taillights - originally a mechanical system - can be upgraded with an electronic aftermarket unit. 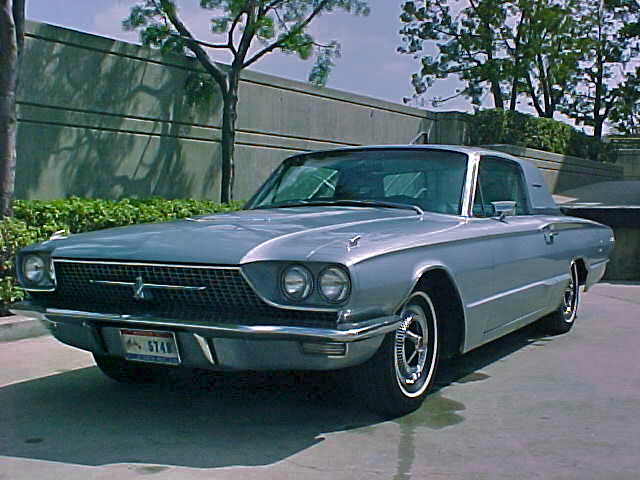 The 1966 Thunderbird is an absolutely stunning car that can be purchased and restored at reasonable prices. 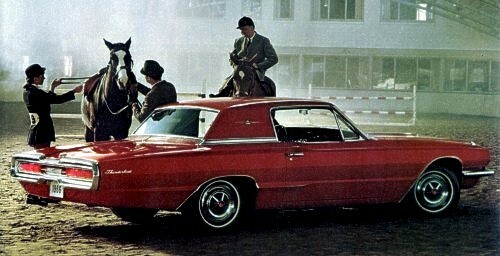 It rides and drives beautifully both in town and on the freeway, and I highly recommend having one on your " bucket list". 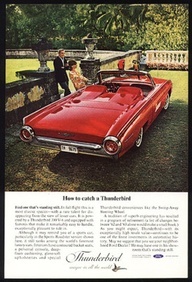 Questions about restoring a 1966 Thunderbird?....email me!